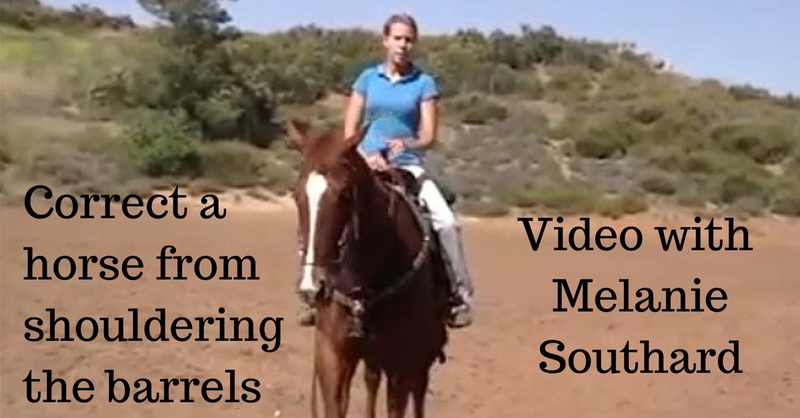 NFR Qualifier Melanie Southard offers some great video tips on how to keep your horse from shouldering the barrels and some exercises to correct this problem. It’s all about controlling the hips, not the shoulders! If his hip is engaged, his shoulder has to be up in the correct position. Shouldering is a (bad) habit and in order to correct it we need to instill a new habit through slow and correct work. Take the time to build to a quicker speed with correct form.